Cris is the Co-Founder of Innovation Thought Leadership Website The Future Shapers, Director of Innovation Consulting at Culture Consultancy, Strategic Advisor on Innovation at Wazoku, a Visiting Fellow at Cranfield University’s School of Management and Centre for Customised Executive Development, a Visiting Professor at ICESI University in Colombia and Co-founder and Practicing Professor of Innovation at The London Centre for Executive Excellence. 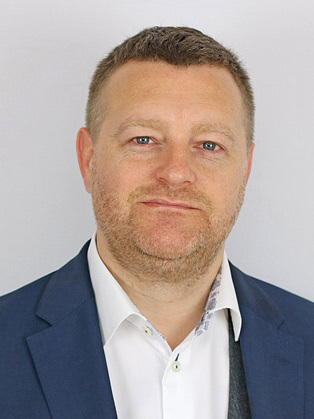 He specialises in working with CEOs and senior teams and has coached, advised and delivered keynotes to some of the world’s most successful companies on how to become exceptional by building game-changing innovation capability and embedding it into organisational culture. Some of Cris’ clients include The Government of Dubai, Cisco, SIG, Rank Group, Big Lottery, BHA Group, SThree, The House of Commons, Ministry of Defence, GCHQ, Arriva Rail North, Roche, Ordnance Survey and QinetiQ. Cris has also delivered executive education programmes & masterclasses on innovation for leading UK business schools such as Henley Business School, Southampton Business School and Cranfield University’s Centre for Competitive Creative Design as well as international business schools such as Synergy Business School in Dubai. Cris is also the author of the book 'The Road to Innovation’ and co-author of ‘Building a Culture of Innovation’. As well as authoring, numerous white papers Cris has also contributed to articles for The Times, Financial Times and The Sunday Telegraph to name but a few. Cris is an authority on how to create an innovative organisation. 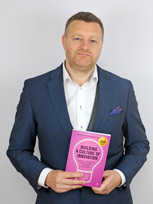 He is an accomplished speaker and facilitator, regularly engaging senior business audiences to tackle the essential issues within the organisational innovation space. Having delivered executive development programmes to many of Henley’s global clients I can honestly say that the impact of Cris’ interventions are not only immediate, they’re essential!